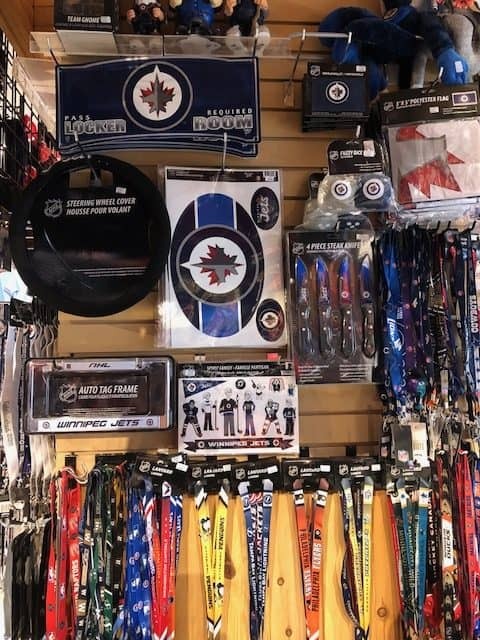 On the second floor of the downtown Portage Place shopping centre in Winnipeg, you’ll find the friendly store of Uptown Sports. 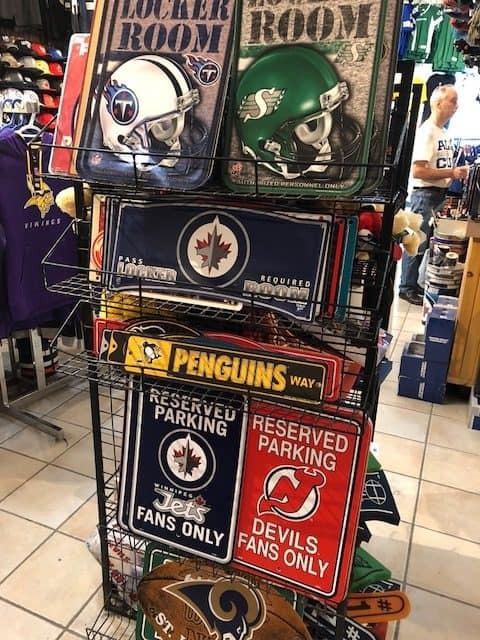 Uptown Sports opened in 2003. 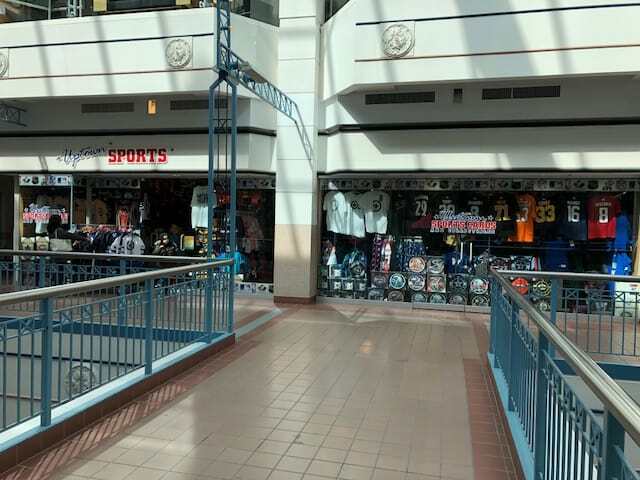 If you haven’t been downtown lately, you may remember Uptown when it was located in the walkway between Portage Place and the Bay. 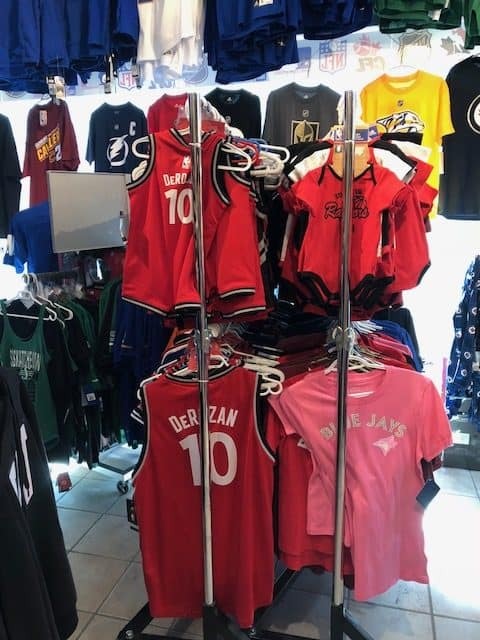 Uptown took the opportunity to move into the main mall area after Zellers, located in the basement of the Bay, closed in 2013. 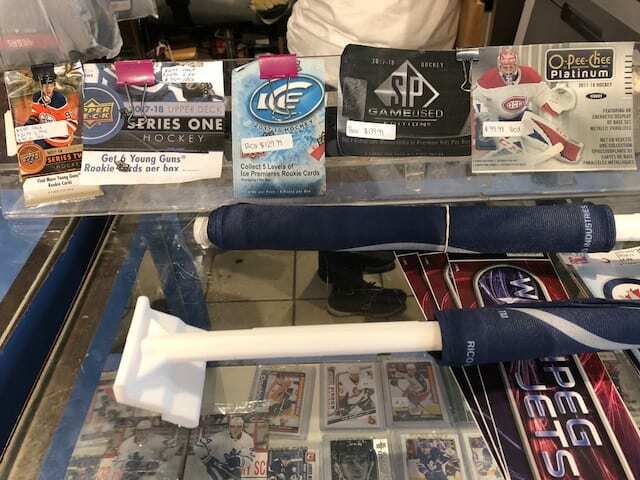 Uptown Sports carries a range of sports memorabilia products for many professional teams in the NHL, CFL, NFL, and MLB. 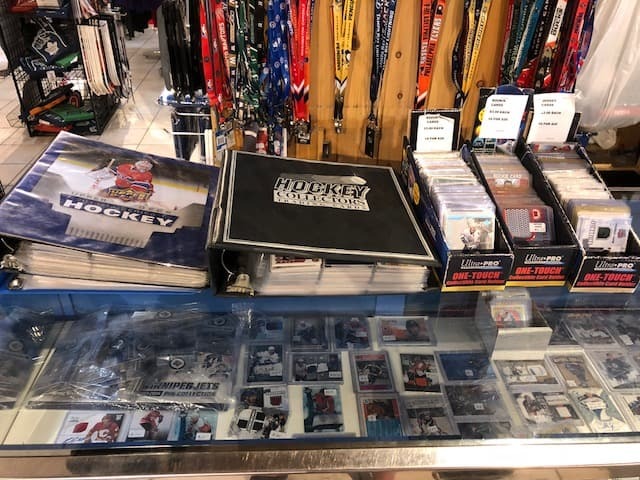 They also have sports cards and card collecting supplies for the card collector. 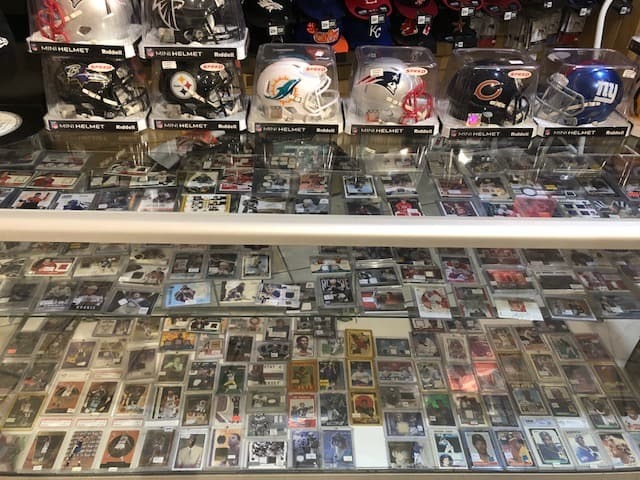 The sports cards in Uptown are mainly enclosed behind the glass counters at the cash register and in the back corner of the store. 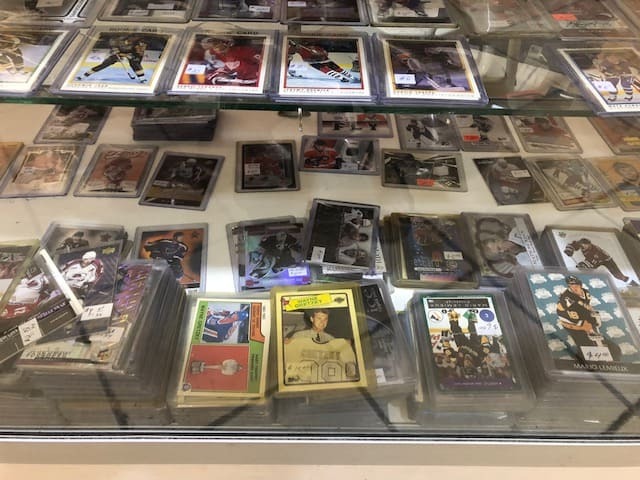 Binders and singles at the front of the store. 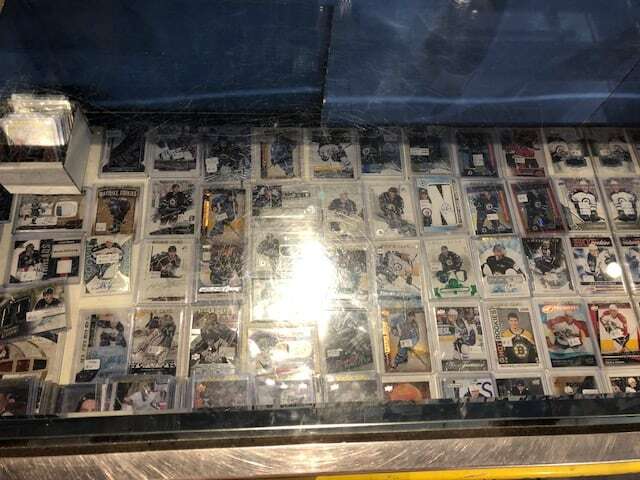 Unopened packs are available at the front cash register. 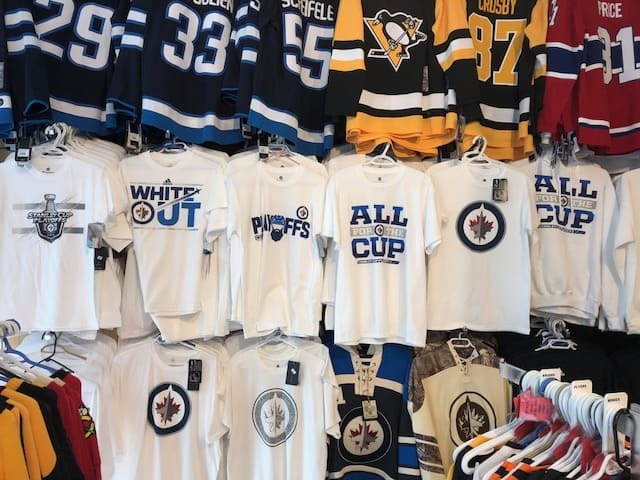 95% of the store’s sales come from Uptown’s large selection of sports team apparel, so as you’d expect, the store is filled with t-shirts, jerseys, sweaters, caps, toques, and much more for almost every single NHL, CFL, NFL, and MLB team. 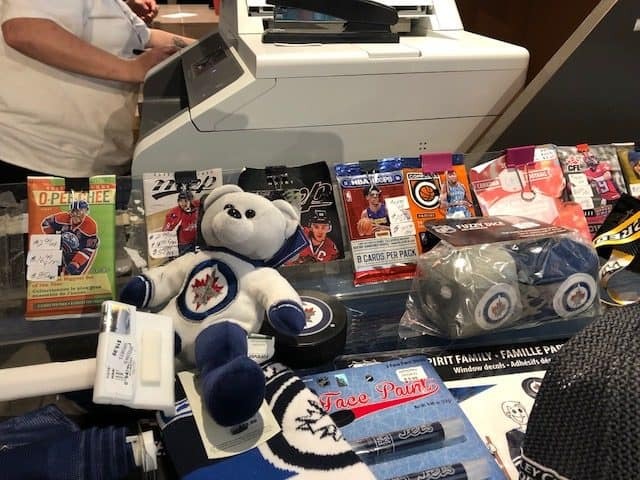 Winnipeg Jets can buy their Whiteout gear at Portage Place shopping centre during their lunch break. 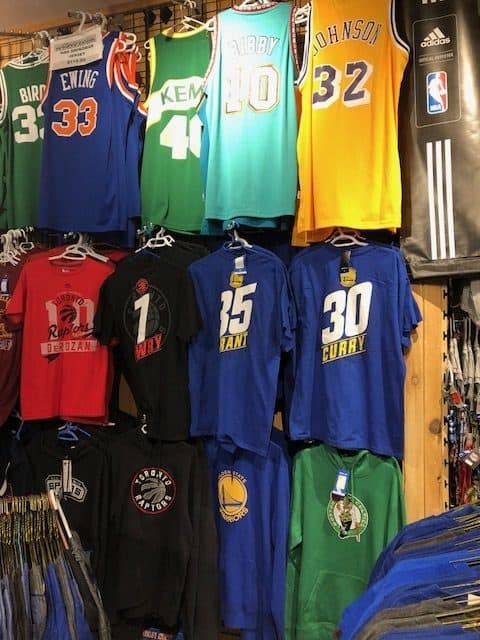 Sizes for everyone of every age. 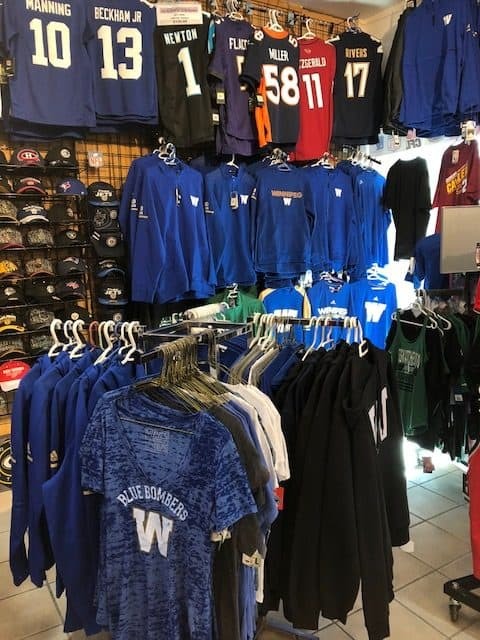 Winnipeg Blue Bombers fans can get their fan-wear even with 3 feet of snow on the ground. 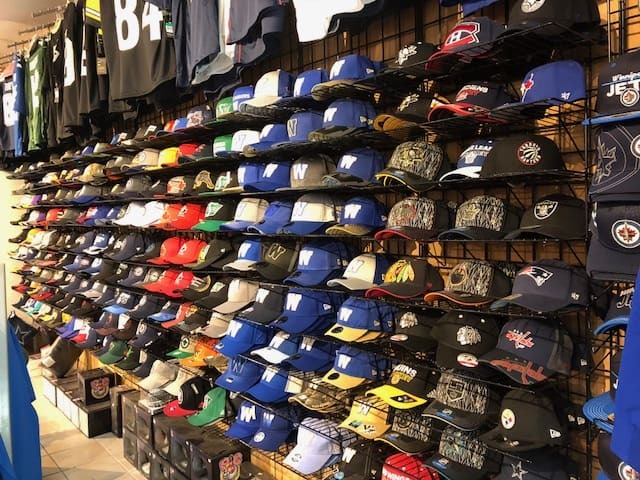 Caps from different teams in sizes youth to adult. 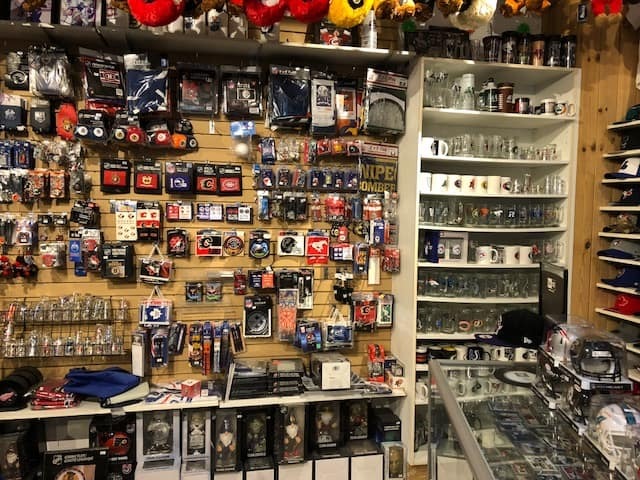 Lots of sports team memorabilia. 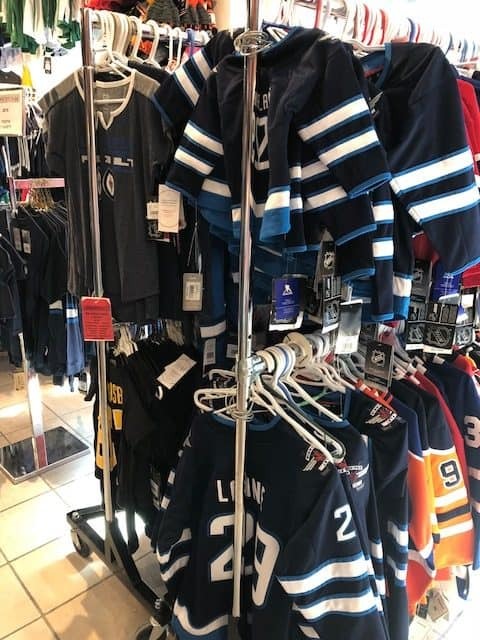 Uptown Sports is open in the Portage Place shopping centre in downtown Winnipeg. Follow Uptown on Facebook, Twitter, and Instagram.